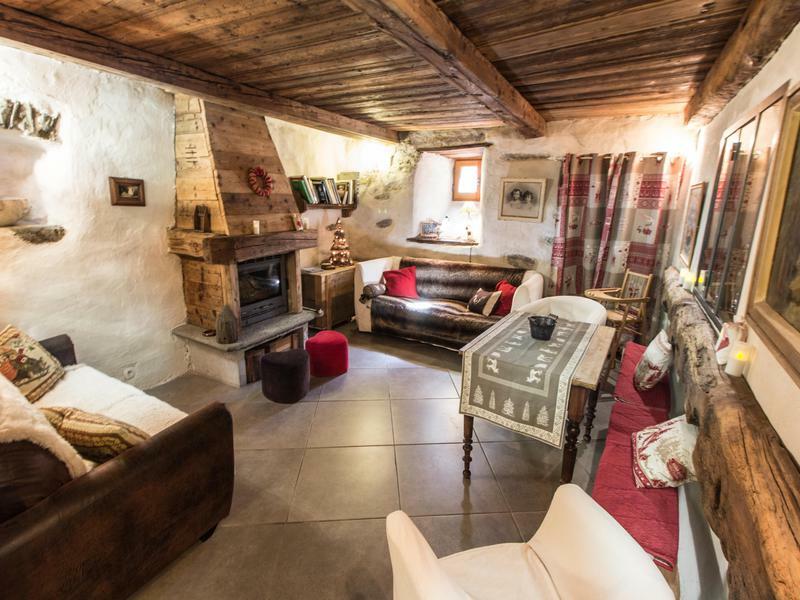 This traditional Savoyard chalet is situated in an attractive village close to Ste Foy ski resort and just a short drive to Val D'Isere, Tignes, Les Arcs and La Rosiere. 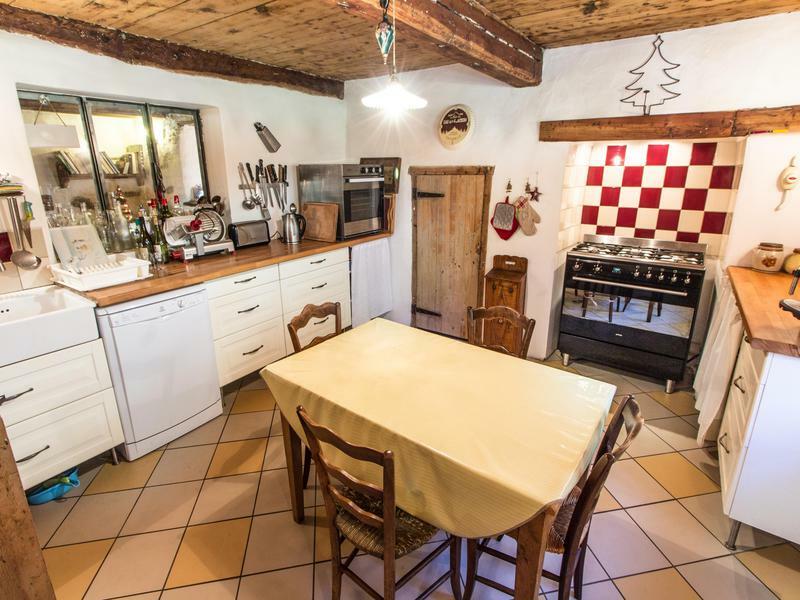 It would work well as family home or a small gite. 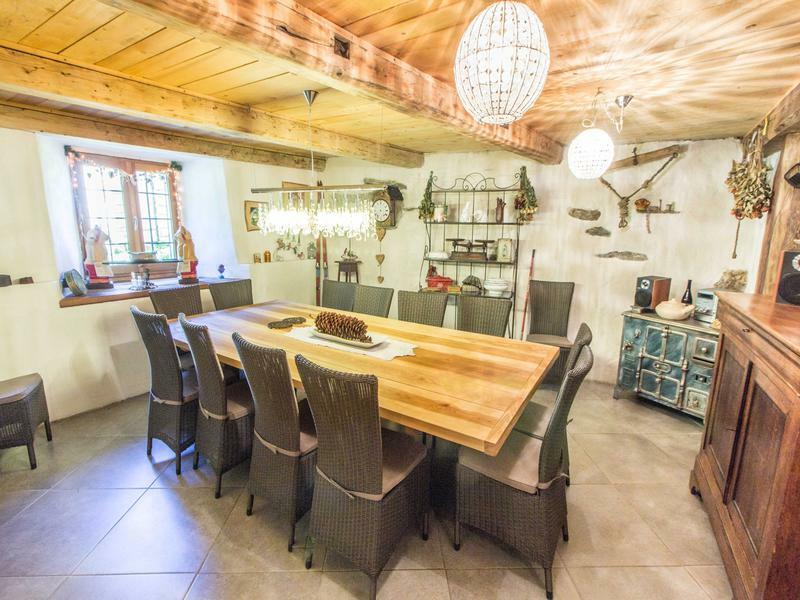 This typically Savoyard former grocery shop towers four floors high and offers potential to receive not just multiple guests, but even multiple families. Slightly offset from the centre of Ste Foy, surrounding land is unutilized allowing a perfect view to the mountains in the south east. 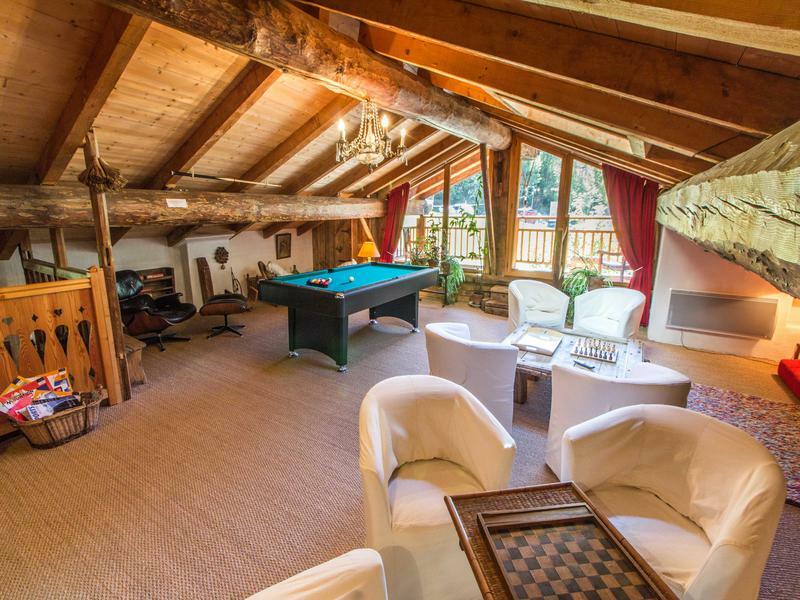 This traditional chalet occupies the centre of a generous plot, separate from more modern developments. Entering via the ground floor presents an open space for convenient reception of guests, immediately on the left a dining room for 12 and a sitting room with a fireplace on the right, after the kitchen which also offers further space to convene. 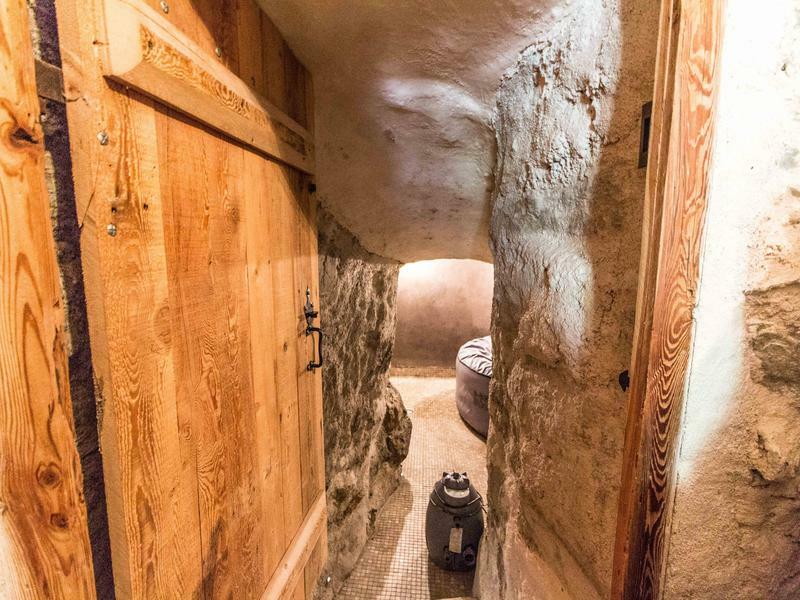 A spiral staircase spans all four floors, the first floor offering a double bedroom with a douche à l'italienne alongside an impressive cave-like spa room, as well as an exit to the rear of the plot. 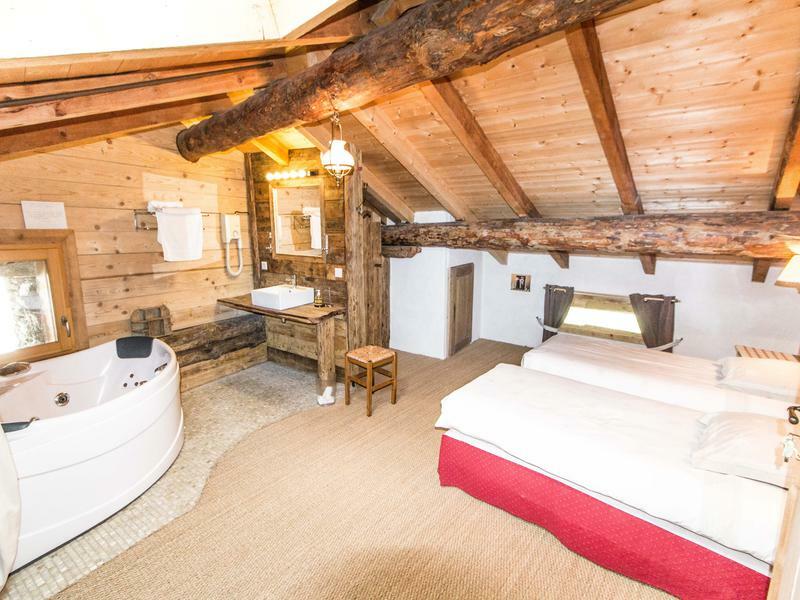 The second floor offers a 'suite parentale' on the left, consisting of a double bedroom leading into a room of two single beds, both rooms with a view to the south east and a douche à l'italienne with a basin and separate toilet, and also a double bedroom on the other side of the second floor provides with a similar douche à l'italienne. 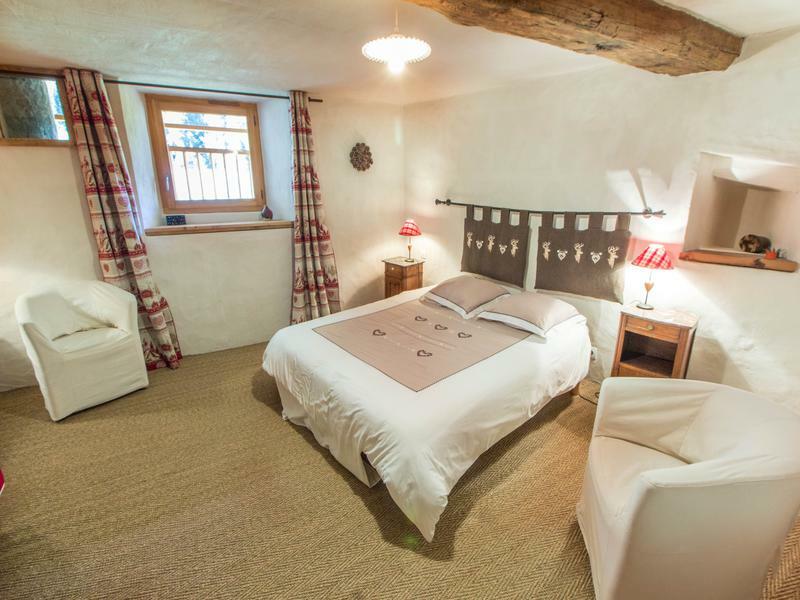 The third floor presents a separate shower and toilet for its chambre familiale, with an adjacent double bed and bunk bed rooms and child-friendly automatic lights, as equipped on every floor. The opposite side of the third floor again offers an en suite double room, also with a spacious balcony. 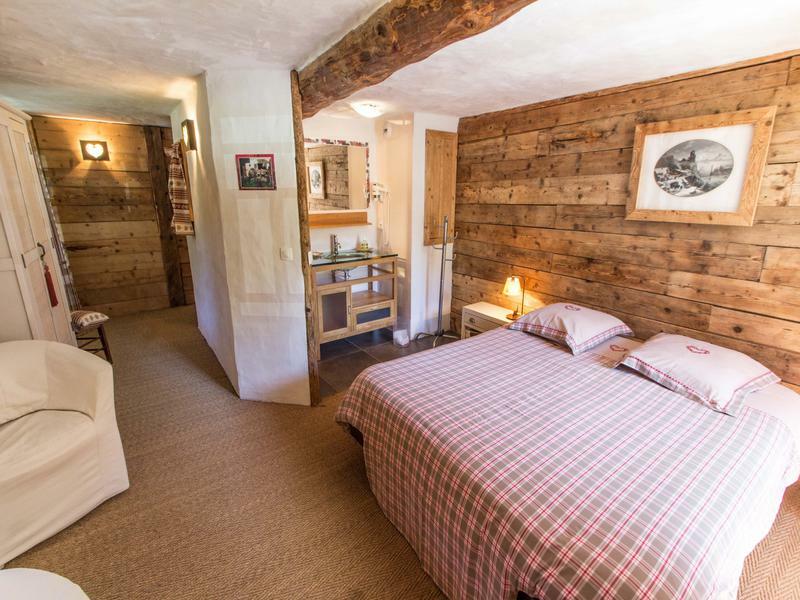 The fourth floor at the top is not left wanting for headspace, or floor space on the jaune de mère carpet with a generous south east facing lounge which follows into a double bedroom with a jacuzzi bath. 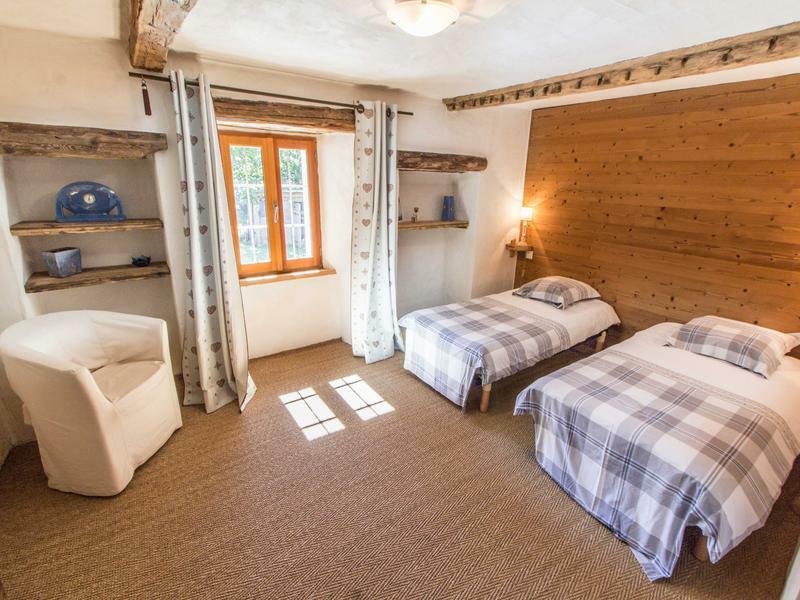 Whilst it boasts authentic architecture typical for the Savoy region, individual thermostats feature throughout the house alongside heated floors on all but the fourth floor.